About Us Summary - Business secrets for electric contractors to grow profit and revenue! 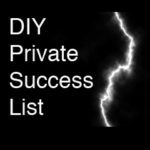 Business secrets for electric contractors to grow profit and revenue! We help electricians find valuable tools to grow from a start up business, to a business that can run itself. I have a new excel sheet that I made to try and help everyone with understanding how to grow their call volume and profits. This is a simple sheet that uses some key numbers you should know like: average invoice, calls ran, calls sold, days in month, monthly advertising spending cost and yearly goal for company in service. These can help you understand how to bridge the gap and see where you are and where you want to be. Sometimes it makes it easier to see if you look at all the numbers in one place. Should raise your prices? Spend more in advertising? Add another truck? Need more calls or should you convert more to sales? No matter what it will be the easiest 10 minutes you spent on how to plan your future. I am giving this sheet away to help you guys plan your electrical business so you don’t make unreasonable goals or expectations. We can get caught up with looking at what we want to make and not how to get there. This will break it down to see if your daily goals can match your yearly goals. I hope this helps some of you figure out what your goals should be. 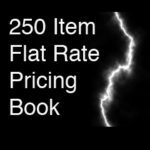 Flat Rate pricing and why should you care? So I was talking to few contractors and they told me that their competition was charging Time and Material prices of 45 to 65 and hour for labor. I responded with not for long at that price. We talked about flat rate pricing and the myths of contractors were going to lose money if an employee did not get the job done on time. The fact is flat rate pricing is all around us. Hamburgers at McDonald’s are based on a flat rate. You dont pay more for a hamburger that was cooked longer by a higher paid employee or manager. 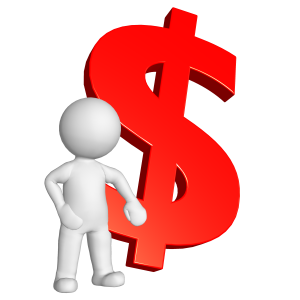 Electricians have just never gotten their hands around flat rate because it is usually made by a software company that based its rates off a plumbing/HVAC system that does not work in the electrical industry. I have used a few different books and decided that I needed to make a simple one for myself. The version I have is condensed to a small amount of tasks but give you a variety of ways to bill it. Standard rate, discounted for members, and overtime rates. It also makes a standard pricing for the industry. HOW INTERESTED ARE YOU IN A STANDARD PRICING? A benchmark to start at, and whether you are a little higher or lower it sets a standard for the industry. I plan on trying to make this available to most contractors at an affordable price so we can all raise our industry up a little. Tell me if you are interested. What’s wrong with the Electrical Industry? I have been wondering why our industry has been cutting itself down and not staying true to itself. What do I mean by that well I look at the plumbers in my marketplace and they all have the same mentality and price structure. No one veers far from the standard price whether you are a one man show or a 100 man shop. HVAC companies have good structure and the standards for the technicians are set higher. They wear uniforms, don’t complain about working on call shifts and just seem to have a better grip on customer service than electricians. Electricians have been trying to play catch up with the other industries and I have to say it is about time. We make our living doing a highly skilled trade and still don’t know how to do simple things in business. There is no doubt that we are great technicians but we definitely have some work to do on the business side of things. I made this website so we can all try to make our industry a better place to earn a living. Let’s face it, this is what we do to feed our families and if we can not do that then why do it. I see electrical contractors everyday that go out of business not because they were bad electricians but because they got in to business not knowing the first thing about running one. Believe me I was one of those guys. I searched and looked for business resources on running an electrical business but never found anything. It was the school of hard knocks for me. I realized that our industry thinks it is some secret that should not be told on how to run a business. I think different, I think that if we all have better training and resources that we all will prosper. If homeowners and businesses have to choose on service and not price than it will be easier to distinguish the good from the bad. We all say you get what you pay for but in a service industry we should not accept moonlighters and handymen doing a skilled trade. We also should not compromise on safety just to make or save a dollar. These tactics are bringing the industry down and my fear is that we will have many safety issues in the future. Grounding, overloading circuits and cheaply made materials being used are the only way that contractors have to save a dollar besides using substandard cheap labor. Lets make a change for the better because our industry is not like a shelf at Wal-Mart. We cant look for the cheapest disposable electricians forever and it will catch up to all of us eventually. Let me know if you have anything you would like to learn or know about so we cant discuss it further.